For those of you that are looking to still apply for, or have questions regarding EI. 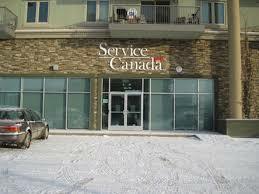 You can try it on line, or you can also go to the Service Canada office here in Fort McMurray. They will be able to answer questions for you. If you need the EI code, please check in your work email as it was sent out on June 27th by both Teresa and Lorna. PLEASE note that due to the recent passing of Teresa, District Office is working very hard to get ROEs out. Thank you for your continued support and patience.